I initially did this for myself, but it quickly turned into doing it for other business owners and entrepreneurs also. It was fun, so I thought: why the heck not? But when business slowed down, it wasn’t that much fun anymore lol. When you’re a freelancer, you live and breathe by your clients, right? Absolutely! It makes getting and keeping more clients paramount to your success. So, in the process of doing freelance design work, I learned a few things and I’m giving you five quick tips for getting and keeping more clients so that you become a successful freelancer. Ask your clients for some referrals. I use to live off of referrals. When someone receives a service from you, ask them for 3 to 5 referrals that you can contact. There’s nothing wrong with doing this, so don’t think of it as being unethical or pushing it. Your customers will be happy to refer you to their friends and colleagues if they adore your work. All you have to do is remind them to do so. And, if you can create a referral program where your current clients receive a hook up, like a discount or some type of incentive for your services, that would rock! Be a #gamechanger type of professional. Stop thinking like a freelancer! I’ve had my share of clients who were hard to deal with and I couldn’t wait to be done with their projects. But I never let my feelings get in the way of being professional at all costs. Be an excellent person to work with, and you’ll keep your clients. Even if your rates are a bit higher or your turnaround time is a little bit longer than other freelancers, they will still appreciate you for your quality work and attitude. The truth is, we place a high value on our business relationships, at least the clients you want to work with do. And if you can build a strong relationship with your clients, you’ll keep them for a very long time. Every chance they get, they’ll mention or talk about you, and word of mouth is the best free marketing tool out there. Communicate with your clients regularly. Just like in any relationship (including the one you have a home) communication is necessary to survive. As a matter of fact, think of it in terms of survival. You don’t even need an opt-in and an email marketing campaign to regularly connect with your clients. If you just reach out to them from time to time, send them a card on the holidays, etc, you’ll stay in the front of their mind when they have a need for your services or when someone asks about finding a good freelancer. ►Send your client a note to say “hello” or that you’re thinking of them. You could say something like, “I stumbled across this article in the Woman’s Day Magazine and thought you’d might enjoy it.” Go above and beyond to build a relationship with them and stay connected. Put yourself out there and get visible! Get into things like: social networking, blogging regularly, and being a guest blogger on sites that relate to your audience type. I used some of these sites to post on, since they have a large volume of readers. Bring awareness to yourself and your services. You are your own brand. Even if you get just one new client, it can turn into thousands of dollars over the course of a year and they can refer other people to you as well. Think outside the box. Helping other people brings self-fulfillment and will make you feel all warm and fuzzy inside anyway. Be willing to step out and inform others in your community even when there isn’t any reward for doing it. You may or may not believe in the law of attraction, but when you give to others, be open to receive back, because you will. I’m not at all telling you to give away your services (hell to the no); what I’m saying is that if you’re willing to help people by providing useful information and perhaps a listening ear when they need it without expecting anything in return, that makes you look golden. Believe me, your efforts will never go unnoticed. As you can see, much of the art of keeping clients and gaining more clients so that you become a successful freelancer has to do with building relationships. There’s no magic pill or anything like that. It’s just business sprinkled with a human touch. 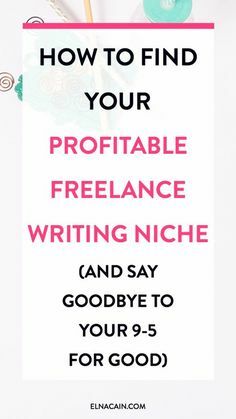 For those wanting to become a freelancer all of your ideas and tips are wonderful. These are really solid tips. Referrals are important and being direct and asking for them is the right thing to do. Also so important to cultivate the relationships. Yes, girl!! Love all of these! Especially the #gamechanger tip. That’s what we should strive to do in everything. Great tips for freelancing! I definitely need to share this with a few friends! Love the referral tip, didn’t think of this yet!